Did you know that the retina is considered part of the Central Nervous System(CNS) and is actually brain tissue? It is the only part of the CNS that we can visualize non-invasively. We can see the individual 10 layers through the OCT and determine the pathogenesis of many diseases. The OCT is an emerging technology for performing high-resolution cross-sectional imaging. OCT is analogous to ultrasound imaging, except that it uses light instead of sound. The OCT can provide cross-sectional images of tissue structure on the micron scale in real time. 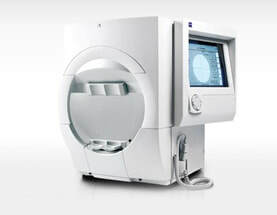 Did you know that through your eye exam we can detect brain tumors? Depending on what you can't see in the visual fields determines where that tumor is your brain! An eye examination that can detect dysfunction in central and peripheral vision which may be caused by various medical conditions such as glaucoma, stroke, brain tumors or other neurological deficits. Visual field testing can be performed clinically by keeping the subject's gaze fixed while presenting objects at various places within their visual field..
Did you know that we can see the entire back of your eye without needing to dilate? 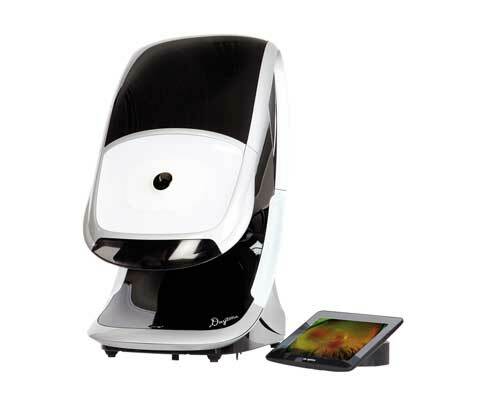 Getting an Optomap ultra-wide image is fast, painless and comfortable. Nothing touches your eye at any time. It is suitable for the whole family. To have the exam, you simply look into the device one eye at a time (like looking through a keyhole) and you will see a comfortable flash of light to let you know the image of your retina has been taken. The capture takes less than a second. Images are available immediately for review. You can see your own retina. You see exactly what your eye care practioner sees - even in a 3D animation. Under normal circumstances, dilation drops might not even be necessary. Your eye care practioner will decide if your pupils need to be dilated depending on your conditions. Did you know that by shining a light into the eye and seeing how it changes, we can measure your prescription? 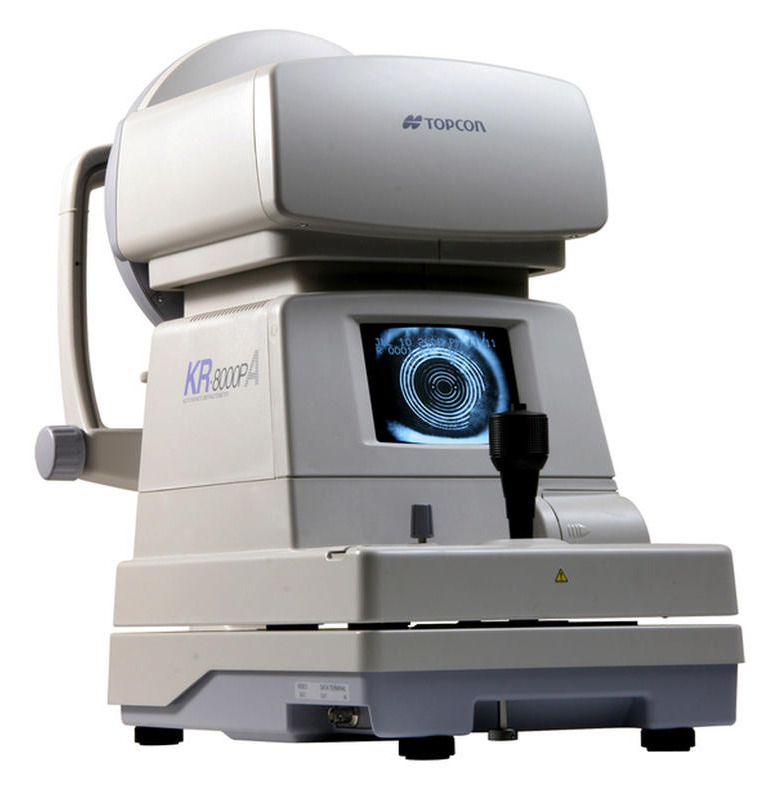 The autorefractor automatically determines you correction by placing your “focus point” at the back of the eye. The measurement taken by an autorefractor can be translated into a prescription for eyeglasses.